My mother gifted me two Ruby Kisses Ultra Matte lipsticks several months ago to add to my already overflowing makeup collection, and I never thought to use them (probably because they were very LOUD colors). And I am just now appreciating them. I will probably end up getting every single color and making a swatch video, so be prepared!! The first one is Balckism. Now, I know what you're all thinking.... "Why such a gothy color?" "I could never pull that off.." or the usual "I could never leave the house with that on!" Black is a really scary color, but it's also freaking cool when applied properly (I'm no expert; I'm still figuring out my own lip shaping)! I found that the application is very smooth, but you have to do multiple layers to get that rich black finish. Also, if you have the same pet peeve as me where you do not like any pink showing, you have some work in store for you! Overall, I like the color, and the matte finish. Surprisingly, I really like this one! I will most likely use this in a fashion shoot in the near future for my portfolio! You may think that you won't try it in a million years, but don't knock it til you try it. 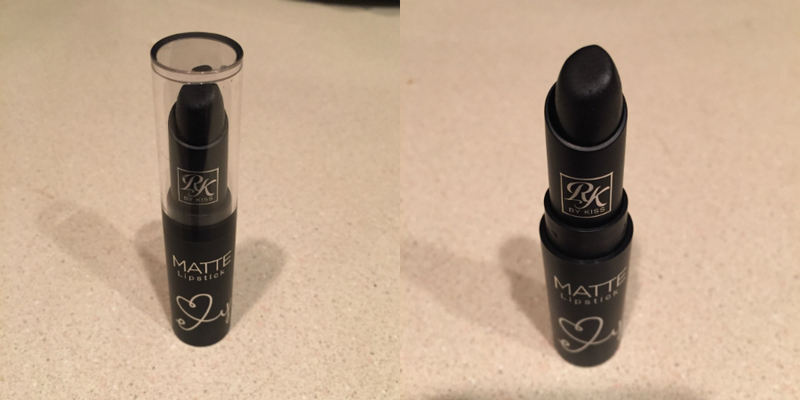 I am also very impressed with how smoothly it glides on, and the color is very vibrant! Overall, I love Ruby Kisses lipsticks, and I WILL be buying every color to test them out. Thank you for reading, and stay tuned!